Brunch is one of the favourite weekend pastimes of New Yorkers. 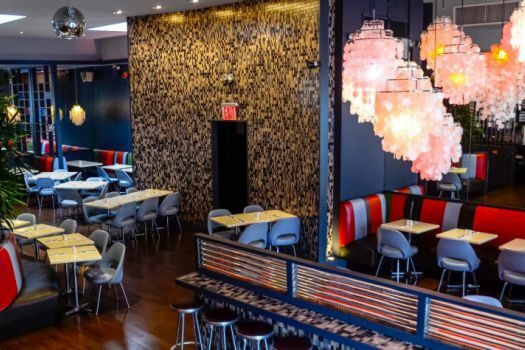 From the most glamorous restaurants, to laid back bars and diners, New York’s brunch scene is second to none. Whatever your taste or budget there is something for everyone! Here are our top five Best Brunches in NYC that you will not want to miss! Make brunch an extension of the weekend with some live music. Langan’s Sunday Jazz brunch menu is the perfect way to cure that sore head and re-energize. Enjoy some great food and a complimentary drink, in a fun and laidback atmosphere! Located at the heart of the city on 47th between 7th and 8th there is no excuse not to visit. Enjoy the ultimate luxurious New York brunch experience at Elmo’s. If you are looking for a sophisticated and glamorous restaurant for brunch, this is the place for you! Dress to impress, as you reacquaint with friends and discuss the latest gossip. The brunch menu will have you spoilt for choice and will meet any cravings you may have. The Eggs Benedict on toasted granola is one of our favourites. Elmo’s unique cocktails and delicious food will have you hooked! The Smith is a casual American brasserie with four upbeat locations in New York City -The Smith East Village, The Smith Midtown, The Smith Lincoln Square, and The Smith NoMad. Brunch here is relaxed and perfect setting for spending time with friends and family. Enjoy a bloody Mary, bellini, barnstormer, passion punch or fresh squeezed juice with the meal of your choice. This brunch date will have you ready for the week ahead in no time. Take a bite in the big apple as you take in the New York City’s stunning sky line views. This dreamy, overgrown rooftop bar, which sits on top of a warehouse, offers a beautiful setting to enjoy your brunch. Applewood-smoked bacon and fried chicken a smoked-salmon station equipped with capers, pickles and red onion; and a panier offering cinnamon rolls and chocolate muffins. 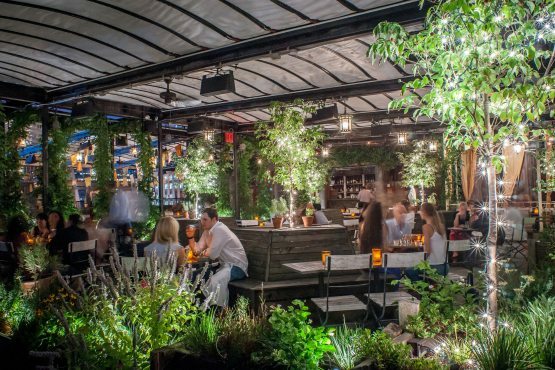 At Gallow Green you will experience exceptional service and outstanding food, in one of the most idyllic settings imaginable. Take a mini adventure to one of New York’s secret treasures and experience brunch in the ultra-trendy neighbourhood of Williamsburg, Brooklyn. Minutes away on a subway, Freehold is a colourful and vibrant hipster bar and restaurant at the centre of Williamsburg. Finish the weekend off away from the city’s madness with $5 mimosas and a big tasty feed while listening to live alternative music in Freehold. Have you had brunch in NYC? Where do you recommend? Tweet us @AmericanHoliday and let us know! Planning a holiday to New York? Give one of our travel experts a call now.